Hair Loss Treatment for Men, Men’s Hair Loss and Men’s Hair Thinning are commonly misunderstood and assumed to be hereditary Male Pattern Hair Loss which technically is not hair falling out but is a gradual miniaturization or hair thinning. Male Pattern Hair Thinning occurs only within a typical pattern. Absolique Trichologist microscopic diagnosis can clearly determine the difference between Men’s Hair Loss, Men’s Hair Thinning and Male Pattern Thinning. It is of the upmost importance to get a correct and qualified diagnosis before starting any Hair Loss Treatment for Men. With the many changes in our modern world and fast lifestyles, Men’s Hair Loss and Men’s Hair Thinning related the Hair Cycle are on the rise. Male Pattern Hair Thinning or Androgenic Alopecia are gradual Hair Thinning that will only ever appear at the recessions, top, front and crown of the head hair. 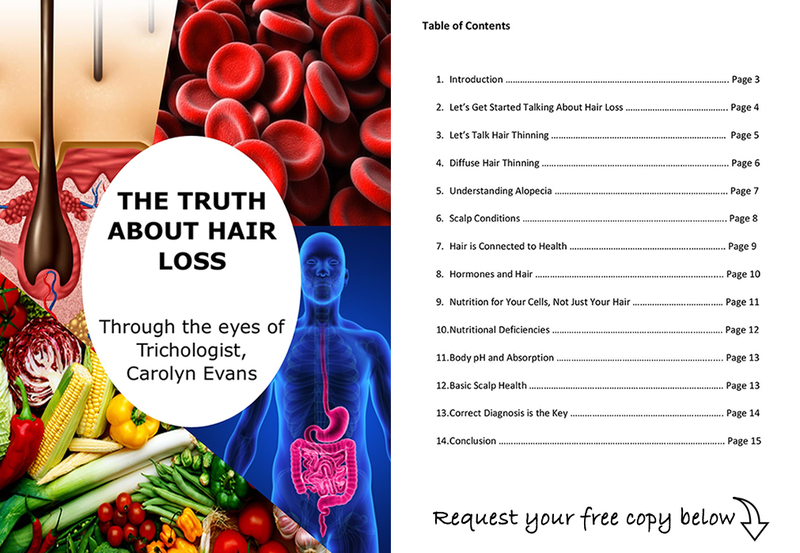 Because Hair Thinning is easily noticed at the front where it is clearly in view it is commonly misdiagnosed. When the hair appears to be thinning, men start to take notice of natural hair fall that has always been there leading to the misconception of hair loss. However, Men’s Hair Loss is a very real thing but misdiagnosed as Male Pattern Thinning. Incorrect diagnosis can lead to Hair Loss Treatment for Men that simply don’t work or worse, cause more hair loss along with potentially completely missing the cause of the hair loss which is mostly health related. The general nature of short hair in men also make it difficult to assess the difference between Men’s Hair Loss and Male Pattern Thinning so the use of a microscope by a Certified Trichologist is the safest plan. We all have a Hair Cycle, every hair on our head is within a cycle of growing, resting or falling. Problems with the Hair Cycle and Hair Cell are most often the primary cause of Hair Loss in Men. This diffuse Hair Loss or Diffuse Hair Thinning (diffuse meaning all over the head) can speed up the occurrence and appearance of Male Pattern Hair Thinning. The Hair Cycle is diffuse and does not work only in patterns or patches such as Male Pattern Thinning or Alopecia Areata. Some Hair Loss Treatment for Men can trigger short term Hair Loss because of the chemical or prescription medication pathway and can have various adverse side effects in the body and on the scalp. 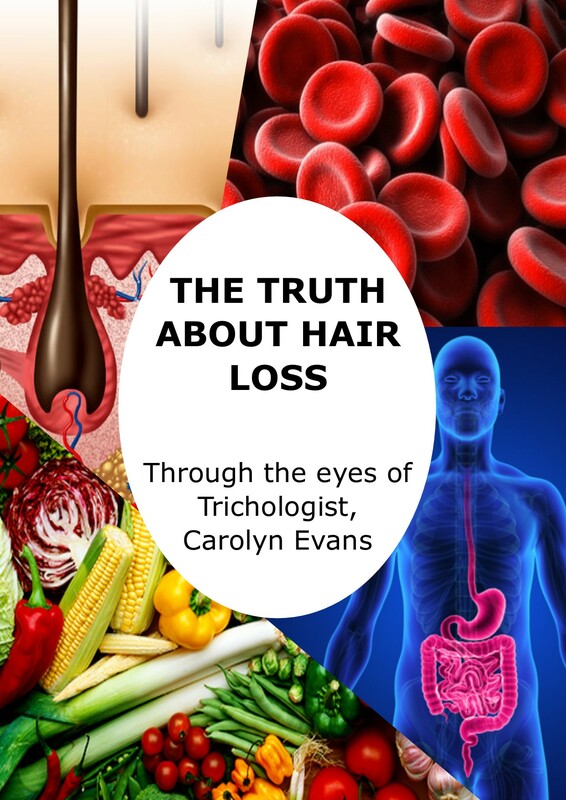 Hair Loss Treatments Trichologist, Carolyn Evans-Frost offers safe, natural, effective and affordable Hair Loss Treatment for Men with the intention to address both symptoms and causes with combination therapy. The side effect to Absolique Hair Health Clinic Natural Hair Loss Treatment Hair Loss Treatment for Men is better health. Good health will better protect against Male Pattern Hair Thinning even if it is from a hereditary influence. Early onset Male Pattern Hair Thinning is now common. This is Male Pattern Thinning at a much younger age than in family history or as Absolique Trichologist notes, with NO family history at all. Typically Male Pattern Thinning was hereditary with a dominant trait. In today’s world we have Hormonal, Environmental, Free Radical and Autoimmune exposure to from an early age as well as damage to the Hair Cell and Hair Cycle. Science has proven Male Pattern Thinning is caused by dihydrotestosterone (DHT) binding to the androgen receptors of the hair follicle. The key here is what triggers the DHT to bind where it does not belong as it is part of every bodys integumentary system. The integumentary system is our skin’s system, the largest system of the body, it holds us together and balances internal homeostasis. DHT is not baddie here, it is produced and required by the body and is also a precursor to other body enzyme reactions. The focus should be on the triggers. There are many ways to protect against the triggers and avoid them, but blocking the DHT can come with many side effects. If you block the DHT in the body altogether as many medications do, you may get side effects. It you try to use Hair Loss Products that only move DHT away, you will not get much of a result and when you stop, results will disappear. The first step is always Correct Diagnosis with a Hair Health and Scalp Check. Absolique Hair Health Clinic Trichologist will microscopically inspect your Scalp Condition, Hair Loss or Hair Thinning and discuss all causes with you. With a correct diagnosis we can offer various Hair Loss Treatments for Men and Natural Treatment for Hair Loss options. Sometimes no Hair Loss Treatment is required, only simple preventative measures.